The Coordinating Committee for Automotive Repair, or CCAR, focuses on providing consistent and compliant safety and hazardous material training for the automotive industry. Our goal is to support a workplace with fully trained automotive professionals and help them advance their business and operate safe, clean and green. As the only automotive focused organization affiliated with the Environmental Protection Agency (EPA) and the Occupational Safety and Health Administration (OSHA), CCAR is equipped to offer the most up-to-date training resources for both safety and hazardous material requirements. From OEM dealers to schools to collision and repair shops, our training fulfills the EPA and OSHA requirements in a convenient, online format. For less than $1 a day, CCAR can provide training for your entire staff, for the entire year — no matter how large or small your shop size! With CCAR’s safety courses, all shop employees or school faculty and staff will be trained on the latest OSHA safety training modules. Great for new employees and continued education, our online training courses give your team the flexibility to complete training from the convenience of your business location. Learn more about our program and sign up for courses online, or give us a call at (888) 476-5465! The U.S. Department of Transportation (DOT) requires specific training for employees who handle and ship hazardous materials. 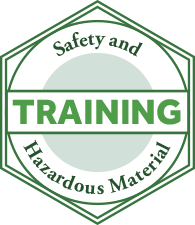 CCAR’s hazardous materials courses, called HazmatU, provides the latest DOT-compliant training modules. Our program covers your entire team under one training subscription and is structured in convenient, online training courses, designed to streamline your training plan. Fiat Chrysler Automobiles (FCA), the seventh-largest automaker in the world, designs, engineers, manufactures and sells passenger cars, light commercial vehicles, components and production systems worldwide. The Group’s automotive brands are: Abarth, Alfa Romeo, Chrysler, Dodge, Fiat, Fiat Professional, Jeep, Lancia, Ram, SRT, Ferrari and Maserati, in addition to Mopar, the parts and service brand. Honda strives to be “a company that society wants to exist.” Through our diverse array of products, and the processes required to produce, sell and use them, we impact society in many ways. Whether developing fuel-efficient, low-emission products, minimizing the environmental impact of our global manufacturing operations, or assisting communities in need, Honda seeks to be a responsible company and community partner. So what does it cost a company -- and/or the employee -- when someone gets hurt on the job?